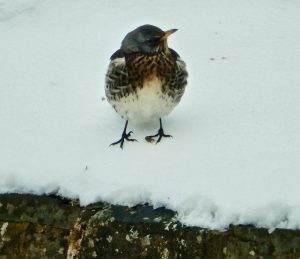 You are here: Home > Blog > Flora & Fauna > feed the birds ……. Many fruits of hedgerow and garden plants are berries. Botanically speaking, a berry is a fruit formed from the ovary of a single flower and the outer layer of the ovary wall develops into an edible, fleshy portion (the pericarp). 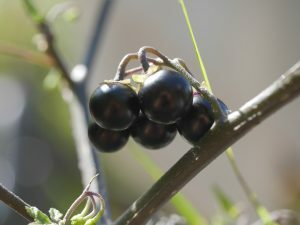 Berries are generally juicy, rounded, brightly coloured, they may be sweet or sour, and inside there may be many pips or seeds - they do not have a ‘stone’. The tissues of the berry will be rich in sugars, starches, some protein and various minerals. The seeds within the fruits will (usually) pass through the gut of a bird and pass out with the faeces and are often deposited far away, helping in the spread of the plant to new areas. Some of the seeds may be broken up by stones in the muscular gizzards of some birds. This year, some berries and fruits have appeared a bit earlier than usual. Warm days in April and May encouraged the pollinating activities of bees, bumblebees and hover flies - when many plants / shrubs were in flower. The summer months were warm but also wet in many areas; conditions that are favourable for the development of the the berries / fruits. 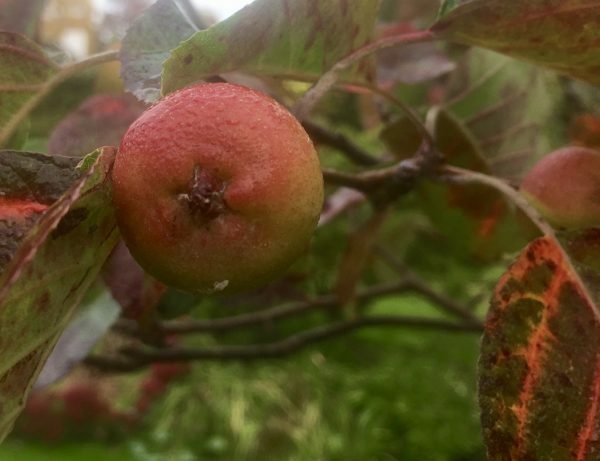 The rainfall also extended the growing season somewhat so fruit set has been brought forward - as has the development of the autumnal colours in the leaves of many species of shrub (and trees). 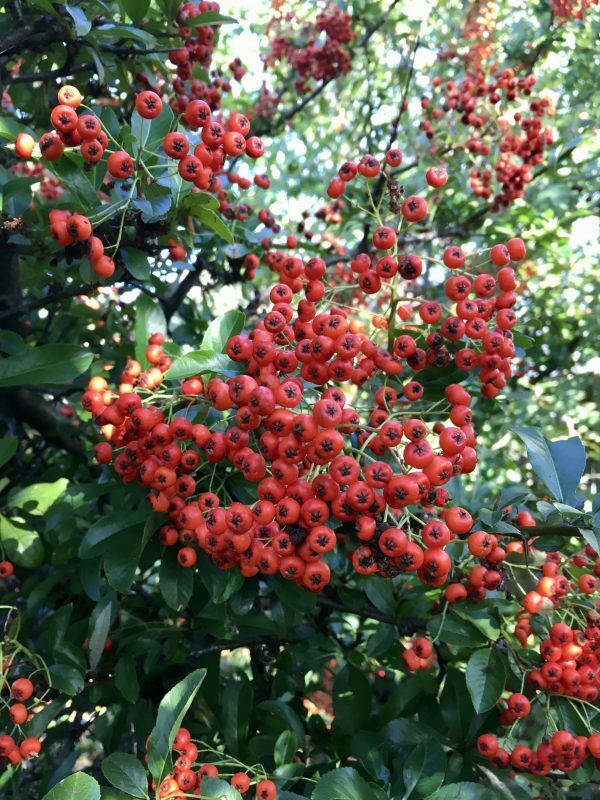 Plants already bearing fruits include spindle bushes (Euonymus), Skimmias, firethorns (Pyracantha) and nightshades. 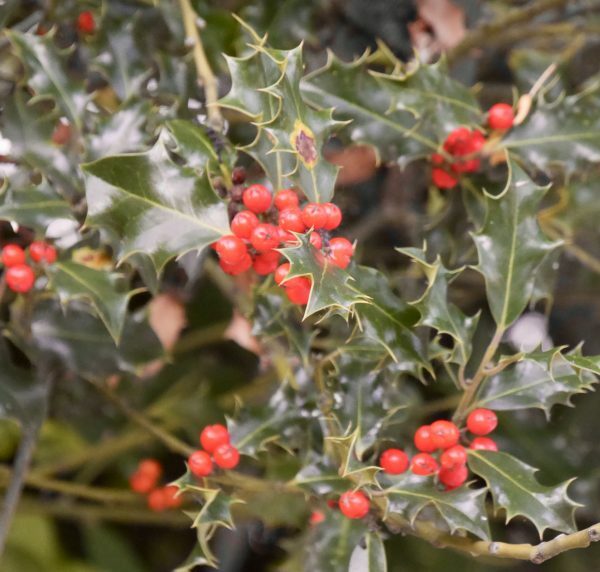 Incidentally, holly berries are not berries, technically they are drupes or stone fruits. In these, the fleshy part surrounds a single stone (or pyrene) with a seed inside. 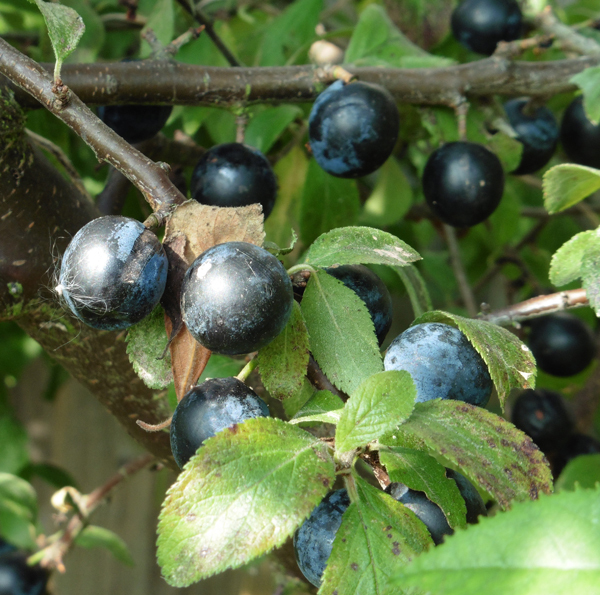 The sloe of the blackthorn is also a drupe. Another plant, the crab apple (often found in hedgerows) is also bearing ripening fruit. The fruit of the crab apple is a pome, like that of the garden apple. 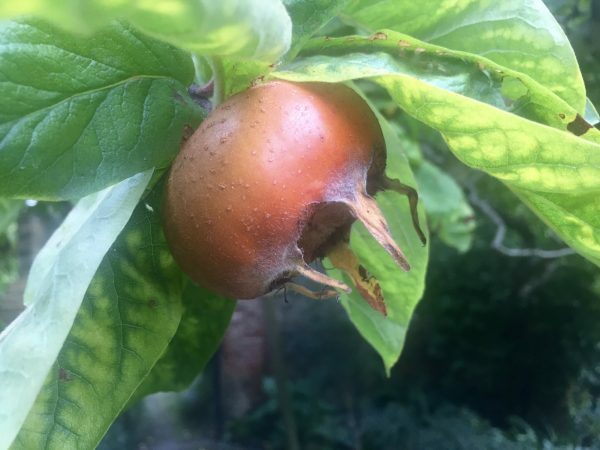 Pomes are 'false fruits', in that much of the tissue of the fruit is formed from the receptacle rather than the ovary wall. Other plants that produce pomes are Cotoneaster, hawthorn (Crataegus), medlar (image adjacent), Pyracantha, quince, rowan, and whitebeam. Where’s your Christmas pudding from ?